When your business is in its very early stages you are likely to have a small team and a handful of customers – managing contact details is not particularly challenging, right? But as your organization grows to the next level and your staff and customer base inevitably expand, working out how to manage vital information about your employees, clients and the overall business performance becomes increasingly tricky – spreadsheets just won’t cut it. Customer Relationship Management (CRM) software stores all this information in one place so that your teams have more time to grow, manage and better monetize your most valuable customer relationships. 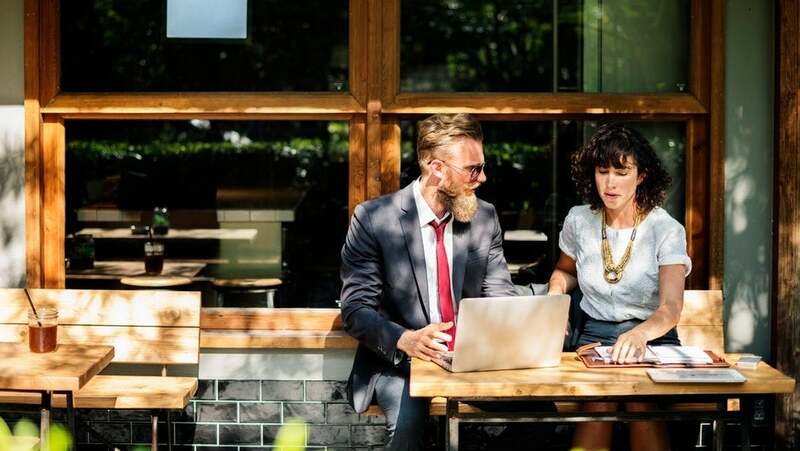 Thanks to continuous technological advancements, CRM software gets smarter all the time, which means there are hundreds of systems to choose from – here are 5 things to consider when finding the best CRM solution for your small business. The most important thing to do before you even start researching different CRM brands is to establish your business priorities and what you need the software to do. If you need software that will provide you with qualitative insights about how your sales teams interact with their clients at every stage of the sales process, the most important functionality you need to consider is how the system tracks lead activity. However, if you are looking for ways to automate some of your more manual tasks when it comes to nurturing prospects, you may want to look at software options that allow you to send scheduled email marketing campaigns. It’s easy to get preoccupied by all the clever features on the market but several reports reveal that the biggest challenge for many businesses already using CRM software is irrelevant functionality. Choose a system that fits in with your organization’s primary goals – don’t pay for any add-ons unless there is a clear business case for how it will positively impact performance. CRM software has been designed to help optimize your sales process, not overcomplicate it. If you introduce a system with lots of sophisticated tools that is difficult to navigate, it is likely that your sales team either won’t use it at all (making it an unnecessary and costly investment) or they will end up spending most of their time inputting data and trying to work out how to use the platform instead of nurturing relationships (which defeats the whole purpose of CRM). When looking at different CRM providers it’s important to consider how good the user experience is – be sure to ask for a comprehensive demo and a free trial for some of your sales team to test out the different options. This will not only make your employees feel part of the transition process, it will also give you valuable insights into how user-friendly each option is before you make a final decision. Your startup might only be 10 people strong now but what do the projections for your workforce and customers look like over the next three to five years? A team of 50 managing 200 accounts? As your business grows it’s important that your CRM software is able to scale with you. Earlier we mentioned some of the challenges business owners face when convincing their organization to adopt new a new process or technology. Now imagine that your workforce has doubled quicker than you had originally anticipated, and you’ve hit the maximum user capacity on the CRM system you rolled out just six months ago; how difficult will the communication strategy be with more people? Most importantly, how long will it take to train your teams up to learn an entirely new system when they have just got to grips with the previous software? What impact will this have on the business? Opting for a system that is scaleable is likely to cost a little more but could mean fewer disruptions further down the line, so keep your long-term ambitions in mind when looking at the different options. If your sales representatives spend a lot of time out of the office it’s important that they are able to access your CRM system while on the go. Whether they need to see the sales history of a customer just before a meeting or they’ve just closed a deal and need to update the system so that your marketing team can push the button on a new digital campaign, having mobile access means that your teams can still get things done no matter where they are traveling from and to and you have real-time updates on how your sales force are getting on. The more you understand about your customers, the more success you will have when selling to them. Reporting is the most valuable feature of any CRM system because it helps you draw meaningful insights from the hundreds, or even thousands, of complex datasets collected and inputted by your sales team. You will want to choose a system that visualizes the data in a way that is easy for your sales team to digest, so make sure you compare the different reporting formats and how the dashboards are presented. There is no doubt that CRM systems have the ability to transform your sales process and help your organization become truly customer-led, but it’s important to find a solution that suits your needs and fits in with your long term objectives. Once you know what features you want, compare a few different providers so you know you are getting the best return on investment – compare providers and get quotes today. The system you choose today could transform your business’s future. Learn more about CRM software in our dedicated guide, What Is CRM Software?